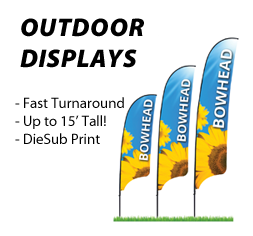 BallyHOO Banners, Signs and Displays is a premier, state of the art, large format, digital printing company that has revolutionized the way businesses market and communicate their messages. Our #1 goal has always been to offer our customers the second-to-none personalized customer care along with top of the line products, and the highest quality control standards in the marketplace. 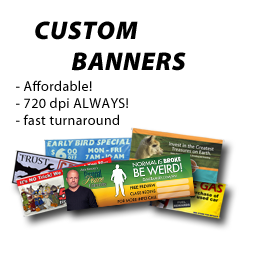 BallyHOO Banners has three core values: Quality, Affordability and Creativity. 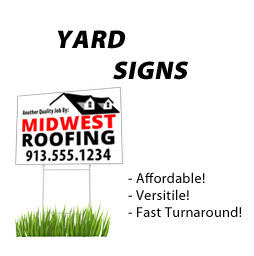 Since 2006, BallyHOO Banners, Signs and Displays has partnered with a wide spectrum of businesses, large and small, promoting their brand and messages in a very upscale yet affordable way. Peruse our Gallery for an up-close look at some of our loyal marketing colleagues. In addition, we have partnered with the following industries. 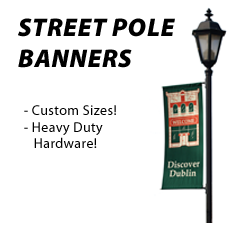 BallyHOO Banners, Signs and Displays is truly committed to providing the best marketing partnership experience for our clients from start to finish. 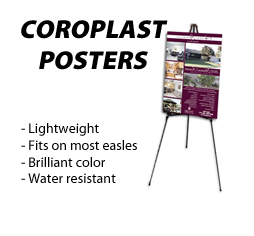 Because of our extraordinary customer care, photo quality imagery, brilliant color spectrum, extremely affordable products, and fast “in your hands” time, we have the earned the trust and confidence to boast an 80+% customer loyalty of returning clients year after year; virtually unheard of in this day and age! Come experience what we have to offer, it will be the start of a "colorful" relationship!